Those young, progressive, priveleged white men who fight their older progressive, priveleged counterparts are just so entertaining. 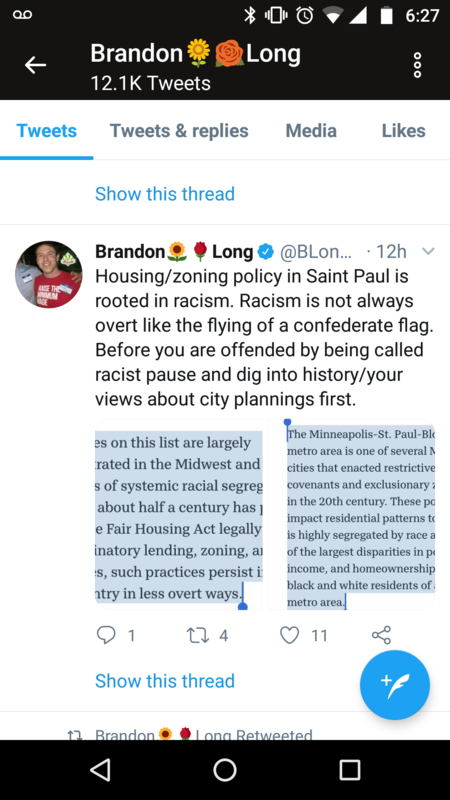 Here, the new executive director of Union Park District Council is essentially calling some of the people in Union Park racist because they are opposing large development projects in their backyards. Urban Progressive Privilege – when nobody who matters in your social and vocation circle will ever call you on “inconsistencies” like this. I’ve found that the correlation between these young non-profiteers and old Saint-Paul-DFL money is really, really high. This entry was posted in St. Paul, Urban Progressive Privilege by Mitch Berg. Bookmark the permalink.